Review Summary: LUV KA THE END appeals to the sensibilities of Gen X. This one's for the yuppie Facebook and Twitter generation. Go have a blast! LUV KA THE END appeals to the sensibilities of Gen X. This one's for the yuppie Facebook and Twitter generation. Go have a blast! If you’re fooled by the promos into believing it’s just another shallow teen flick, you’re in for a surprise. Luv Ka The End is a refreshing beginning to new age entertainment! Should work very well among the youth of the nation. A must watch. Bumpy? I rest my case. 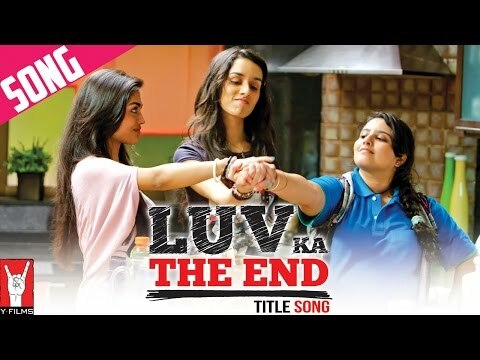 Seriously, 'Luv Ka The End' could well have been relegated to MTV/Channel V short films segment as there is absolutely nothing that is a good enough reason for you to visit a theatre, spend helluva money on ticket/popcorn and then see a film which is small by all means, whether setting, idea or execution. One can sense that director Bumpy had to work in a restricted budget and that reflects in the overall narrative. A cliche gets a fresh new coat of paint in this yarn about hell having no fury like a teenybopper being two-timed. Easily forgettable, momentarily enjoyable, youthfully relevant, relishing such cinema once in a while is not a crime after all.